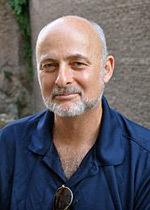 David Brin is the author of more than a dozen novels, including six volumes in his award-winning Uplift saga, as well as two short story collections and a nonfiction work, The Transparent Society, about privacy in the electronic age. His New York Times bestseller The Postman was the basis for a major motion picture starring Kevin Costner. Brin was a fellow at the California Space Institute and at the Jet Propulsion Lab, studying spacecraft design, cometary physics, and analyses of the likelihood of life in the universe. He now lives in southern California.